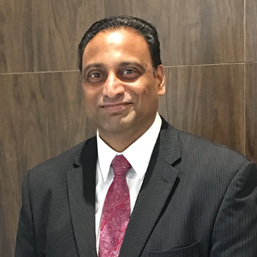 Kumar Anne is a senior level analyst over 20 years’ food and beverage management experience in the full service hotel industry. A veteran of the hospitality industry whom has held various key positions. Leading the charge for the company’s global growth by sourcing and securing management contracts and investment opportunities. The impact of his 20-years career in the hospitality industry has spanned continents through his senior leadership positions at some of the world’s most well-known hotel companies. From Banquet management at the Plaza Hotel in NYC to Food & Beverage management positions in several high end organizations like Ritz Carlton, Intercontinental Hotels, Marriott, Omni Hotels and Fairmont Hotels. Extensive knowledge of budgeting, forecasting, accounting and management expertise related to food and beverage management; to include, inventory control, product costs, waste management. Proven ability to develop and manage diverse work teams across multi-functional areas of the business. Talented in building good teams, restructuring operations for profit and a passion working in the operations and dealing with clients and guests. Top recognitions recipient from companies served like Intercontinental Hotels and Omni Hotels. Kumar is an alumnus of Johnson & Wales University and holds a Master’s Degree in Hospitality”.